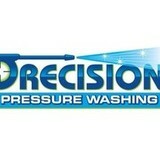 Precision Pressure Washing provides high-quality services for both commercial and residential properties. Whether you need roof cleaning, driveway cleaning, or complete house washing services, contact our specialists today. Elan Diamond Group are the premier diamond buyers in the Southeast. Our reputable name comes from our 30+ years of experience and dedicated service to clients throughout the US. Our elite clientele trust us to offer them top dollar for luxurious diamonds, fine jewelry, and high-end watches. There is no middleman when you work with us and no run-around. You will meet with honest and seasoned appraisers at our American-owned and operated establishment and will be able to walk out with cash in hand. Confidentiality is one of our top priorities and we take every precaution to protect your privacy. Our consultations are conducted in a one-on-one setting where you can relax and have a conversation with our appraiser. Natural stone requires professional stone cleaning, not just the occasional mop and bucket. The porous materials that stone, such as marble, slate and travertine, is composed of needs special tools and knowledge to properly clean and preserve its natural beauty. Improve the look and overall health of your home by hiring a Douglasville stone cleaner to come in and professionally deep clean your floors, counters and more. What can I expect from a professional stone cleaner in Douglasville, GA? Find a Douglasville natural stone cleaner on Houzz. Narrow your search in the Professionals section of the website to local stone cleaners in Douglasville, GA and read reviews and ratings to find one that fits your needs.